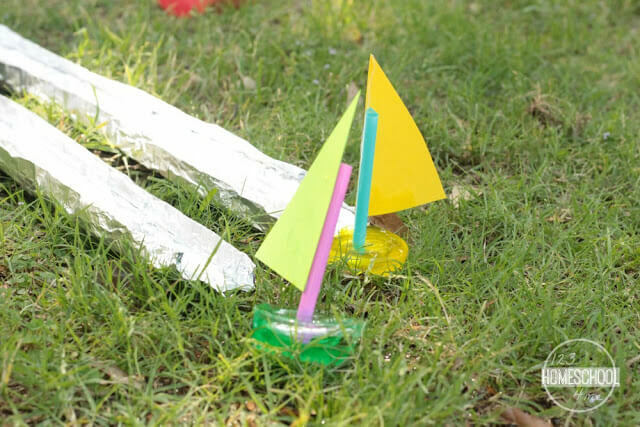 Play this fun water activity for kids and host your very own ice boat water race! 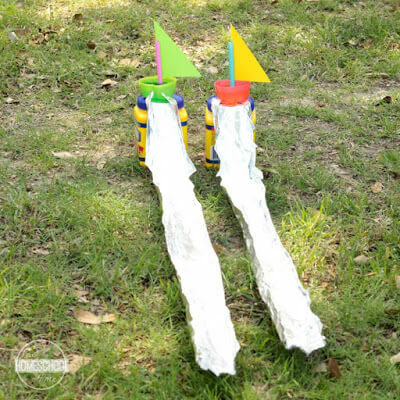 Kids will love this cool, water-based game that will keep them outdoors for an hour or more. 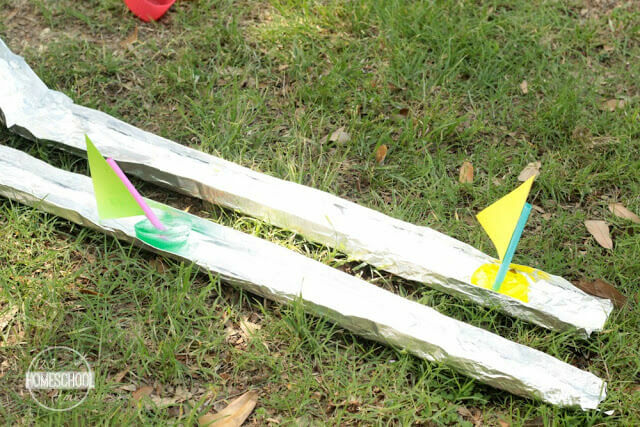 Make dozens of boats for all-day Ice Boat Races outdoor fun and games with ice! 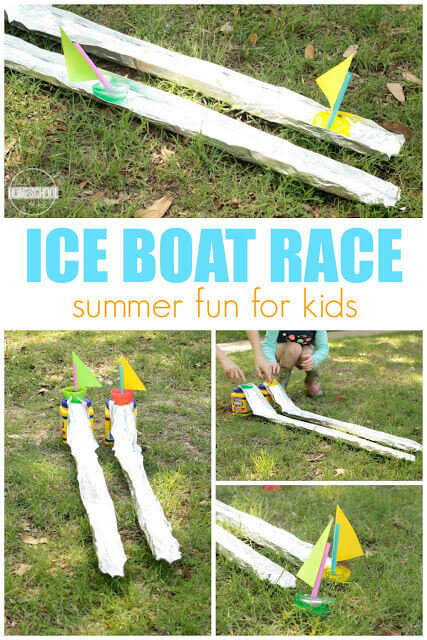 Try this fun Ice Boat Races activity on a hot summer day this year! The day/night before, pour colored water into your cupcake molds. You’ll want to have three boats for each person. We used the same color of food coloring for each person. Place the molds on a cookie sheet or large plate. Cover the top of each mold with aluminum foil. Poke a small hole in the center piece of each foil and stick half of a drinking straw in the center of each cup. This will become the boats’ masts. Wait for the ice to harden. The next day, cut triangles of paper from cardstock. Glue the paper sails to the boats. Put the ice boats back in the freezer. Make trenches from aluminum foil. We first folded long sheets of foil in thirds to hide the dangerous edges. Then, we folded the ends over about 1/2 an inch, then 1/2 an inch again to give the trenches stand-up sides. Set up your trenches by placing one side on an elevated surface (anything will work). Place the boats on the top of the slides. When you say “go” use the water hose to push the ice boats down the trench. Time how long it takes for the boats to reach the bottom. Repeat for each set of boats you have. Find the average times, then the person who’s boats were consistently the fastest is the winner!